Providing a professional mobile disco. We tailor every event to your exact requirements, working with you every step of the way to help ensure both you and your guests have a memorable, pleasurable and enjoyable experience. Professional equipment & friendly service. 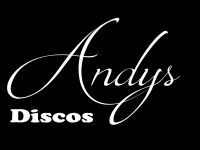 Weddings, anniversary, birthdays, children's parties, Christenings, engagements, school proms, retirement, Valentine's, halloween, Christmas parties, presentations, new year celebrations, call AndysDiscos today. Required by many venues, Andys Discos has a current PLI policy with Mobile DJ Network in the amount of £10 million. Also required by many venues, Andys Discos has supplied satisfactory evidence of holding current PAT inspections of their equipment dated within the last 12 months. A Method Statement, outlining Andys Discos&apos; Health & Safety procedure for setting up disco equipment has not been supplied. Why do people choose to book Andys Discos? Combination of price and communication. local to the Venue and seems very professional great telephone manner when booking. "Andrew did everything that we asked for. Perfect playlist and played at volumes suitable for the event. We were absolutely delighted." "Thank you for your feedback we had a brilliant evening. 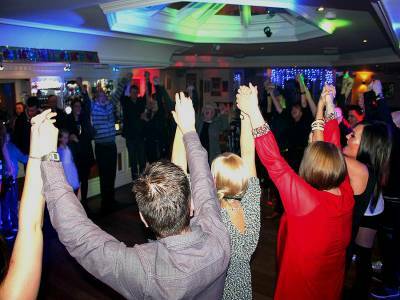 Thanks for booking with Andys Discos"
"Andrew and Alison were both great from start to finish. The booking process was quick and easy and follow up was professional. They arrived at the venue in plenty of time and introduced themselves quickly. The music was good and kept the night moving at the right volume. Alison took a range of photos and videos that were sent to us by post a couple of week later on a DVD providing a nice reminder of the evening"
"Thank you for your feedback we had a brilliant evening." "Andy and his partner where absolutely fantastic couldn't do enough for us, from the music to taking pictures of the event. Overall great experience and would highly recommend. Holding the event next year and will book them again without hesitation." "We booked with Andys Disco only 2 days before the event and everything was perfect, Alison helped throughout helping out presenting our guest right through to making sure everything was covered and Andy not only making sure the music was spot on took photos of all the lads being presented there trophies. Superb service from both Andy and Alison throughout would thoroughly recommend and will be keeping hold of there contact details for future events. " 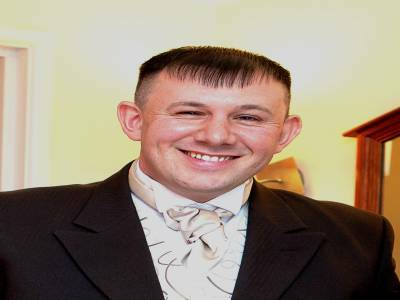 "Andy and his wife Alison provide a professional service from start to finish. Alison was first contact confirming the booking and requesting and supplying all information required. We had a fantastic night. Andy played all our requests, entertaining the whole family playing a wide variety of music. What a fantastic team they both are. 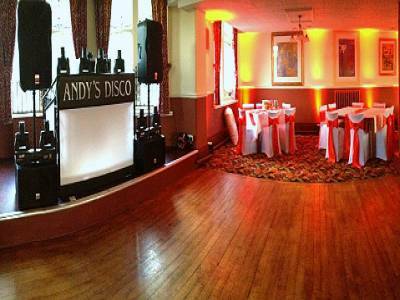 We would highly recommend Andys Discos to anyone, and will definitely be booking them for our wedding. 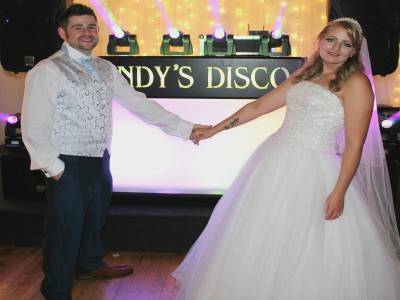 Thank you Paul and Michelle "
Andys Discos also offers a range of additional party services not directly linked to musical entertainment. If you are contacting Andys Discos about an event, it's always a good idea to include the DATE, LOCATION, EVENT TYPE, AGE GROUP and TIMINGS to speed things up!